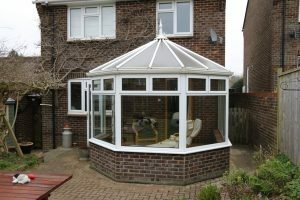 Here at Total Window Repairs, we want to bring the very best conservatory-related products to all of our customers throughout Blandford Forum, Shaftesbury, Gillingham and the surrounding areas. That’s why we utilise the Guardian Warm Roof design, one of the finest products available on the market. 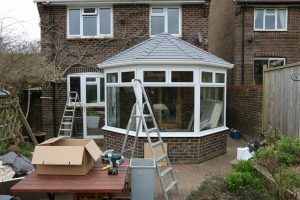 Complete your Conservatory with the Guardian Warm Roof from Total Window Repairs. TWR are highly experienced in installations of Guardian Warm Roofs. We have many happy customers around Dorset who are happy to testify that they made a great decision when going ahead with the Guardian roof. Whether you’re looking to complete your extension with the highest quality products or replace your existing conservatory roof with a more thermally efficient alternative, the Guardian Warm Roofs will be up to the task. The biggest revelation to hit the home improvement market in the last ten years, the Guardian Warm Roof is the epitome of a quality conservatory roof. What Are Guardian Warm Roofs? Guardian Warm Roofs are one of the best products available on the market when it comes to durability and thermal efficiency, making it the best possible choice for any conservatory roof. Fully tested and approved to match current UK building regulations, the Guardian Warm Roofs comprise of a pre-engineered lightweight frame that is easy to install but strong enough to last. Two layers of rigid insulation boarding are then combined with internal insulation plasterboard to craft a product that offers premium longevity, designed to withstand the elements. There are a number of reasons that selecting Guardian Warm Roofs as your conservatory roof of choice is the best decision you can make in your home improvement project. There is a wealth of benefits to be had by selecting a market-leading product, and we make sure that our Guardian Warm Roofs offer maximum efficiency in all fields at an affordable price. Specifically, our conservatory roof replacements are designed to replace existing glass or polycarb conservatory roofs, whilst retaining the original windows, doors, frames and walls in order to maximise efficiency and simplify the installation. The high performance insulation of the Guardian Warm Roofs results in an insulated conversion system, reducing your energy bills. This reduction in energy bills is due to the fantastic thermally efficient properties of this particular product. The naturally thermally efficient properties of aluminium are combined with an intricate thermal structure that has been condensation risk tested. The result is a conservatory roof that keeps your conservatory warm throughout the year, boasting high Window Energy Ratings. As a company that have been operating since 2001, we are dedicated to bringing all of our customers the very best double glazing products. The mentality behind our initial family-run business has stuck around to this day, and we are focused on bringing you the best. This is why we are proud to bring you Guardian Warm Roofs that offers so many benefits. The powerful aluminium profile of our Guardian Warm Roofs are not only incredibly strong and durable, they also reduce noise pollution. This makes it easier to sit back and relax to the sound of the rain in the winter months under your new conservatory roof, as the sounds of the showers outside are gently muffled by our fantastically glazed products. We are so sure of the quality of our products that they come with unbelievable quality guarantees that will astound you. Firstly, we offer a forty year warranty on our Metrotile lightweight roofing, a testament to the product quality. Similarly, we offer a fifty year quality guarantee on our Tapco Slates, so you can be sure that you’re getting the best products around. If you’re looking for the perfect way to complete or renovate your conservatory project, then get in touch with Total Window Repairs today and we’ll see what we can do to help you. Feel free to call us on 01258 488500 to speak to a us, or utilise our contact form. We’ll get back to you as soon as possible no matter your contact method of choice. If however you decide that you would prefer to get an immediate price for Guardian Warm Roofs, then you can use our online quotation tool. In compliance with LABC / LABSS, the Guardian Roof is a ventilated roof. Slots in the ring and ridge beams allow air to flow freely through the roof allowing any moisture to exit. The Guardian Warm Roof System has been specifically designed to weigh no more than an existing glazed roof and is fully tested and approved by industry experts for it’s structural performance.